Your spouse comes first. That's key to a happy marriage. Your spouse comes first. That's key to a happy marriage. Your spouse comes first. That’s key to a happy marriage. Does your spouse come first in your house? Don’t forget that is an important key to a happy marriage. With school starting for many parents this week and next, we are bombarded with both the physical preparations of school supplies and clothes shopping as well as the emotional stress and worry about our children’s new teachers. We may become preoccupied with our kids, not that we probably weren’t already, and we forget about our relationship with our spouse. What else is key to a happy marriage? 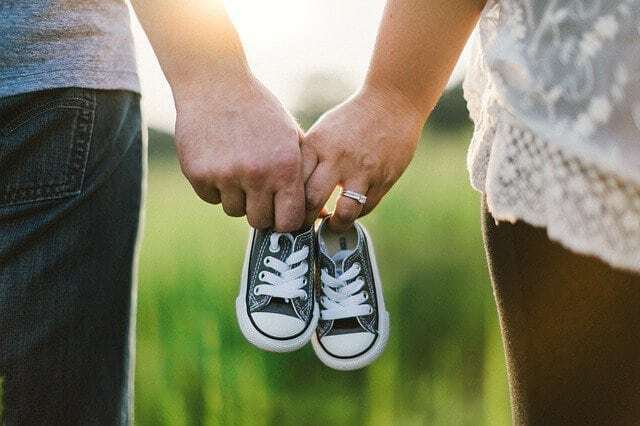 While this may not seem like a big deal as your children’s needs may appear more pressing, if you let it go unchecked you can allow your marriage to atrophy and, in the long run, cause greater damage to your children. I regularly hear stories from couples who become so involved with raising a young family that their relationship takes a back seat. Years go by and they forget that they are more than household managers or roommates. In the worst case scenarios, children grow up and leave the nest, and their parents are left twenty five or thirty years into their marriage feeling they have nothing in common. Be proactive, make time for your relationship. This need not be too difficult. We aren’t telling you to schedule time to talk about your grievances, we are asking you to enjoy each other. Infuse your marriage with the Love Infusions we share in Step Five of The Five Step Action Plan to a Happy and Healthy Marriage. Couples that have felt overwhelmed by the day-to-day responsibilities of their life, stressed out, and disconnected from their spouse have found these simple Love Infusions an instant way to turn around and begin to experience joy again. Make time to connect with each other in a positive way. Have fun together on a regular basis. Make it part of your schedule as crucial as carpool. Your mood will change. Life will feel lighter and you’ll be better parents too! If your marriage has taken a backseat to your children, it’s important that you make your spouse priority. It’s so easy for life to get away from us and a marriage can’t thrive if it is not cared for. Talk with us about our private 2 day Marriage Restoration Retreat so that you can get the spark back and keep your marriage connected and thriving. You owe it to your family.